UK retailers are backing away from the tradition picked up from American holiday shopping experiences, Black Friday. Asda is a British supermarket, which last year saw uncontrolled consumer demand as customers sought to get low-priced deals at the store during Black Friday. Asda introduced the Black Friday tradition in UK from Wal-Mart Stores Inc., its parent store located in the U.S. In barely two years following the introduction of the shopping tradition, it seems that retailers are exiting and preferring other options. Asda has reiterated that it would consider sustained savings that are likely to earn it 26 million pounds rather than investing in sales of one single day. The London based supermarket said that it would want to capitalize on savings during the Christmas period so that it makes profitable sales. Instead of customers lining up all night to enjoy shopping on a limited number of items that are heavily discounted, including flat screen TVs, the supermarket would consider reducing its prices by $39 million or 26 million pounds during this year’s Christmas shopping season. The move by Asda is an indication of how UK retailers are likely to backtrack in ushering in the Black Friday shopping experience. Last year, there was unprecedented rush as customers fought in aisles, trying to reach out and grab discounted items in stores while websites of retailers crashed due to increased demand in online shopping. Other store chains such as Argon and John Lewis have also hinted that they would not take part in such events. The Black Friday restrain is not only being witnessed in the UK, but also in the US where some retailers such as Target Corp and Wal-Mart are likely to spread out deals that cover a longer period. In the last year, Christmas gift spending was damaged by Black Friday. Asda, having been the first to deploy the Black Friday shopping adventure, has taken a different approach aimed at boosting food and drink sales over the Christmas shopping season. Starting from November to Christmas time and New Year, Asda will feature more offers both in-store and online covering a wide range of gifts which include drinks, Christmas food, household basics, and toys. 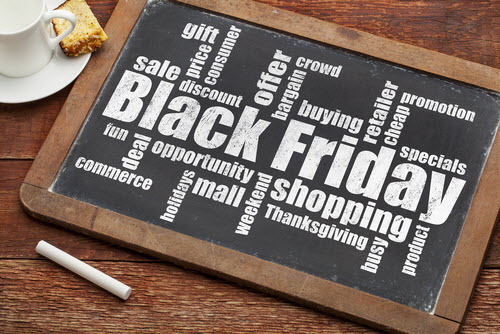 The supermarket leads the way when it come to meeting customer needs, and it is confident with its decision to keep away from Black Friday, considering it is the pioneering store that introduced the event to the UK market. The president and CEO of Asda, Andy Clarke, noted that the decision to keep from this year’s Black Friday has nothing to do with the event itself. The store has, over the previous two years, come up with a well thought-out plan; however, this time around, customers have said it loud and clear that they don’t wish to be held captive by a one-day sales bonanza. The retail market has changed and Asda has to listen to the shoppers. Is It Better For Asda to Commit to Everyday Reduced Prices? The move taken by Asda is a reflection of simplicity and clarity, which shoppers have recently shown. It is better for the store to commit itself to everyday reduced pricing on products rather than having to limit product value to a short period on what it terms as non-essential items. Shoppers who plan ahead for their Christmas will be able to enjoy low prices on a range of products that they use in their daily needs. Black Friday has been one chaotic day in the UK’s shopping calendar where retailers offer unmatched discounts on products both in store and online. Bargain hunters may have, however, been surprised by the turn of events at Asda after pulling out of the event. While retail experts argue that Asda’s decision may not have come at the right time, the supermarket feels that it still maintains a good customer relationship and has responded appropriately to the changing retail landscape. The supermarket collected views from shoppers and from the feedback, it found that customers would opt to enjoy discounts on a wide range of items spread over a long period during the holiday season instead of the one day hustle and bustle sale event. Black Friday comes after Thanksgiving and this year, it falls on November 27th. Regarding effects of Black Friday on stock exchange, there may be some temporary changes in stocks. For instance, in 2011, the DJIA recorded an increase by about 300 points following higher than expected retail sales. Today, retailers are giving massive discounts on products during this time of year. This may have little effects on retailer’s profits. Again, in the UK, it seems that retailers are turning away from the event, something that may see reduced retail earnings during the Black Friday event. Therefore, anyone thinking that there may be changes in direction of the stock exchange market, they have to take it with a grain of salt.